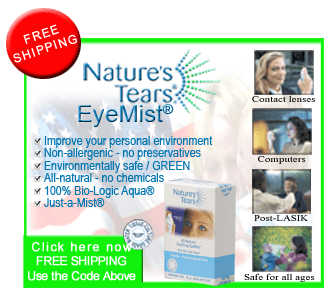 Natures Tears EyeMist All Natural Dry Eye Relief Available at Drugstore.com | Bio Logic Aqua Research® Technologies International, Inc. This entry was posted on July 23, 2013, 6:10 pm and is filed under 2013, BLART. You can follow any responses to this entry through RSS 2.0. You can leave a response, or trackback from your own site.